Cass Art is proud to celebrate Turner’s lifelong fascination with the sea, in partnership with the National Maritime Museum. Cass Art customers receive an exclusive ticket offer for Turner and the Sea, the exhibition bringing together an extensive collection of his maritime masterpieces. Featuring watercolour and oil works, sketches and prints, see Turner on display like you’ve never seen him before. Romantic painter and master of both oils and watercolour, it was Turner who pioneered a change in the way landscape painting was viewed by the public and nobles alike. His first debut was at the age of 15 when a young Turner exhibited in the Royal Academy Summer Exhibition and from then on went from success to success. On display at the National Maritime Museum, we see Turner’s first ever oil painting to be exhibited ‘Fishermen at Sea’, an exquisite example of chiaroscuro in a night time voyage. 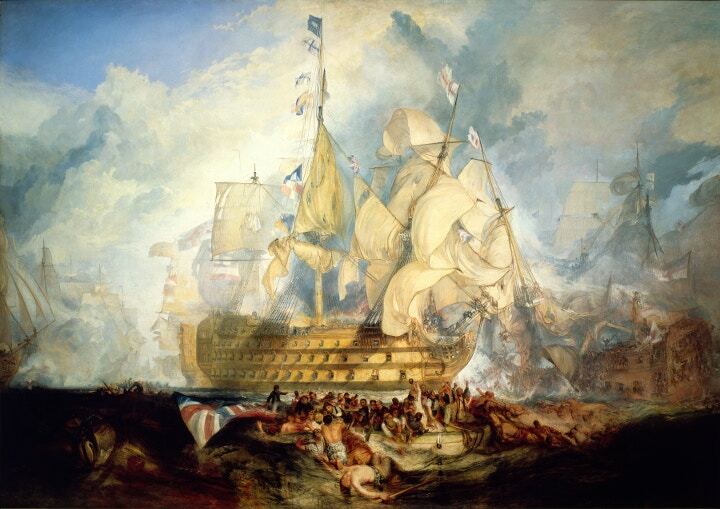 Other highlights include ‘The Battle of Trafalgar’, Turner’s only royal commission and largest painting and ‘The Wreck of a Transport Ship’, not seen in the UK for over 40 years, alongside many stunning works by artists such as Claude-Joseph Vernet Willem van de Velde, Thomas Gainsborough, Nicholas Pocock, John Constable and Richard Parkes Bonington. Widely recognised as artistic genius, John Ruskin described Turner’s style as as the artist who could most "stirringly and truthfully measure the moods of Nature”. His chromatic palette depicting dramatic oceanic scenes creates a striking atmosphere that is not easily forgotten. 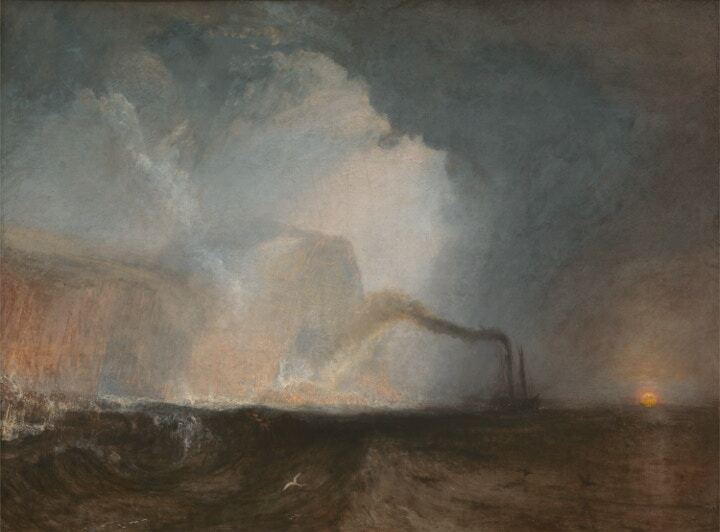 Turner steered the way for maritime painting and his iconic pieces live on at the National Maritime Museum until 21st April 2014. We are! In tribute to Turner’s masterpieces Cass Art is holding a maritime inspired Art Macabre workshop ‘The Dead Sea’ on 11th March at our flagship in Islington. Book your place online now. You'll also find a wonderful range of watercolours and oil paints available at Cass Art so you can create your own Turner inspired masterpieces at home. Cass Art is delighted to offer our online customers an exclusive discount for Turner and the Sea tickets. Shop online for your art supplies and you'll receive a voucher for 20% off the admission price for adults and students. The offer is redeemable until 21st April and vouchers will be included with purchases until the end of March. Keep up to date with our latest partnerships and exhibition offers by following Cass Art on Facebook and Twitter too! Visit the National Maritime Museum website for further details or follow them on Twitter and Facebook for all the latest details on the and remember to share your experience using #SeaTurner.